Shisha smoking become more and more popular among the young generation, in many bars and nightclubs you can see the hookah on the table. The smokers use a hose connected in the hookah to catch the smoke from the bowl located on the top of the hookah. When it comes to the bowl there are many variations of it, and every single one will give you the different smoking experience. There are traditional bowls such as Egyptian and Syrian, and some modern variations of traditional bowls such as vortex, phunnel, crown glider, inverted. etc. These bowls are made from different materials such as clay, glass metal.etc. 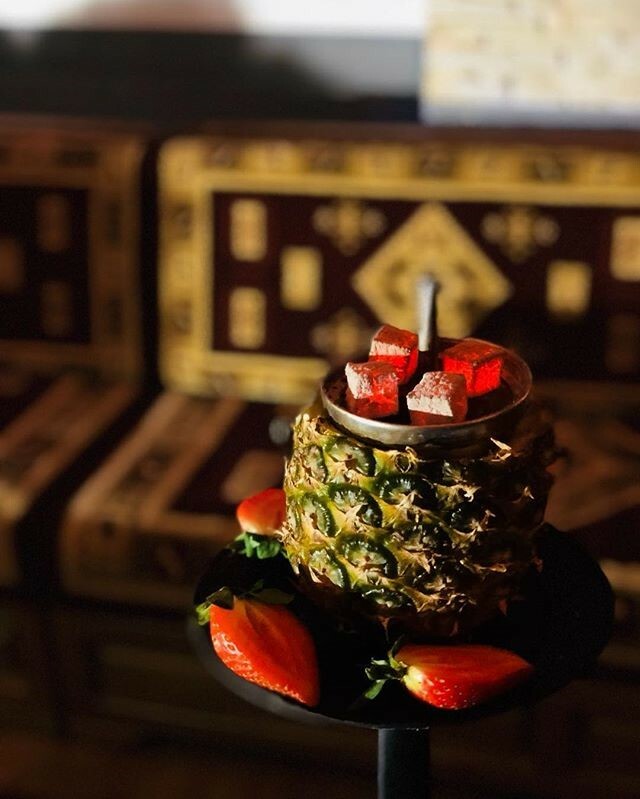 If you are visiting hookah bars, you must have seen that people use fruits instead of standard bowls, that’s become more and more popular among the smokers, but can the fruits really be as effective as hookah bowl? Well, we from icedsmokingpro are here today to break things for you for you. Hookah fruit head VS hookah bowl Which one is better? Some of the main problems of traditional bowls are that the holes are located at the bottom of the bowl. 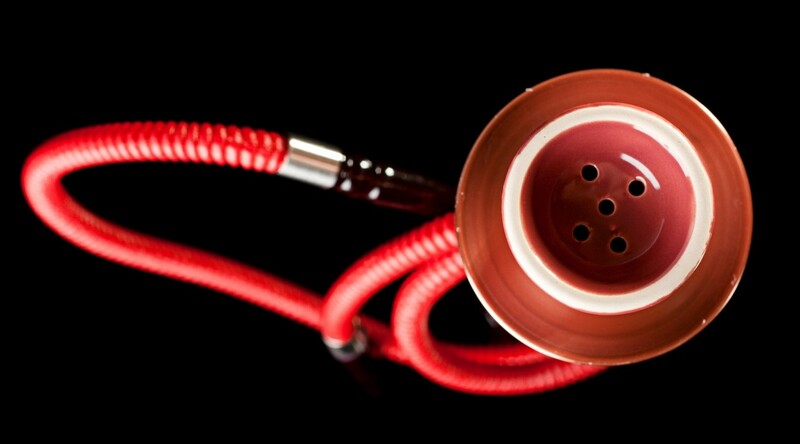 that’s the problem because juicy shisha will drain, through the holes, and will and up in the hookah base. That’s why you’ll lose the taste of shisha and the shisha will burn up quicker. For that reason, it’s highly recommended to use less juicy shisha if you’re smoking from that kind of the bowl. This problem is solved by introducing modern types of traditional bowls into the game, and by that, I mean on phunnel and vortex as the best. These two type of bowls will give you the best smoking experience because those bowls are designed on the way which will keep all the shisha juices in the bowl. The result is more flavors, good heat management, and long-lasting session. The best heat management will give you materials such as clay and ceramic while the metal, silicone, and glass ones are less popular among the pro shisha smokers, but I don’t mean that is a bad option by any mean, you will just get different smoking experience. So if you use traditional (Egyptian or Syrian) bowls which cames with the most of hookahs use less juicy shisha such as Nakhla or Soex, and for more juicy shisha such as starbuzz and al-fakher, I highly recommend phunnel or vortex. So far you should have basic knowledge about hookah bowls, which one to use for different type of shisha and which materials are the best. But what about the fruit on the top? well, in the following part of the article, we’ll touch some adventages and disadventages of fruit heads. The main advantages of fruit at the top of the hookah is that it looks fancy, looks nice and definitely grab attention to everyone. It’s for one-time usage, very easy to make, it’s quite cheap replacement, and it will give you some extra flavor to your smoking session compared to the real hookah head. When it comes to disadvantages, The big con of fruit at the top is that it does NOT produce enough heat management. The fruit is a poor heat conductor, so you’ll need more coals to get the same result as with the real bowl. The big con of fruit at the top is that it does not produce enough heat management. The fruit is a poor heat conductor, so you’ll need more coals to get the same result as with the real bowl. You will make a mess in the process of making it, it will take you time to make it, and to pack the shisha in it. Many hookahs enthusiasts think that this is just a waste of a shisha, but if you want to try it, go ahead you’ll get a new experience in the shisha smoking and maybe delight your friends at some hookah party, so give it a try.
. While fruits bowls are just for fun, the phunnel and vortex will give you the real smoking experience if you have done everything properly. To the next report, happy shisha smoking.